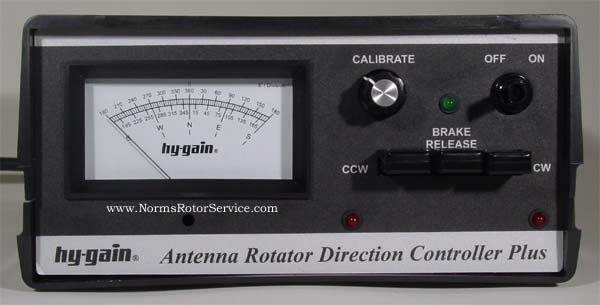 5 second brake delay allows the antenna to slow to a stop before the brake system is re-engaged. This prevents accidentally damaging the rotator if the brake is engaged before the rotor comes to a stop. Easy to read meter with two internal lamps for lighting in low light conditions...these new lamps eliminate the "shadowing" effect caused by the older style lighting system. Calibrate switch located on the rear panel is useful for setting the initial meter calibration that is required before using the control.